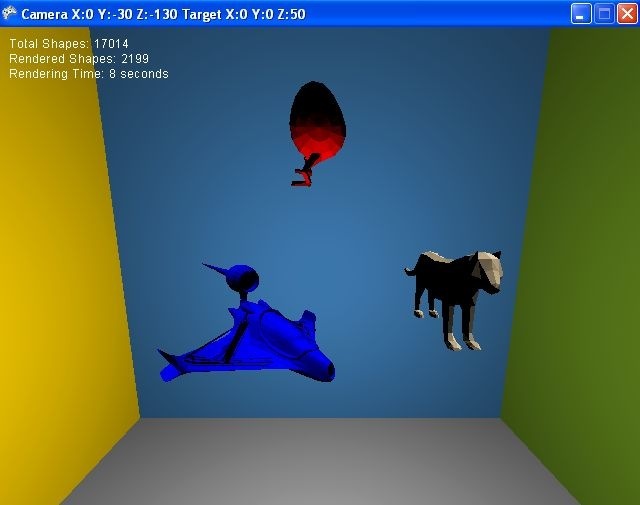 interested in next-gen coding for mobile devices? For those of us who want to write software for phones/pdas there’s also something new available for download. 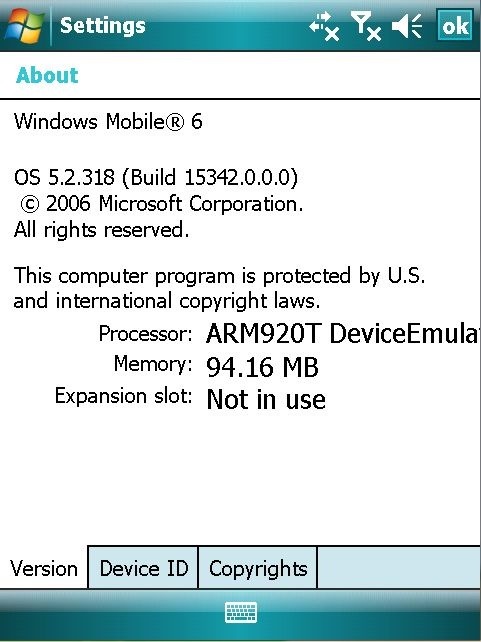 The Windows Mobile 6 SDK! 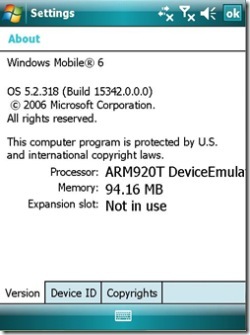 “Using the Windows Mobile 6 SDK you can test your application using the emulators in the Windows Mobile 6 SDKs. The SDKs together with Visual Studio 2005 mean you have everything you need to build and test applications for both Windows Mobile 5.0 and Windows Mobile 6. Read the “What’s New” guide to learn why your Windows Mobile 5.0 application should work on Windows Mobile 6, what to expect from new screen resolutions and why Windows Mobile 6 makes it easier to build and deploy Line of Business applications. It can lead to a speedup of Mail.App. Despite the fact it decreased the Envelope Index for me it wasn’t really noticable… but your mileage may vary. want to do next-gen .net coding? Go and grab the bits of the brand new March CTP of Orcas (which is the codename for the next iteration of Visual Studio). “Visual Studio code name “Orcas” delivers on Microsoft’s vision of smart client applications by enabling developers to rapidly create connected applications that deliver the highest quality rich user experiences. This new version enables any size organization to rapidly create more secure, manageable, and more reliable applications that take advantage of Windows Vista and the 2007 Office System. By building these new types of applications, organizations will find it easier than ever before to capture and analyze information so that they can make effective business decisions. I personally prefer the Virtual PC Image until the product gets do something like beta stage…but it’s your choice. behold the scientify beauty! 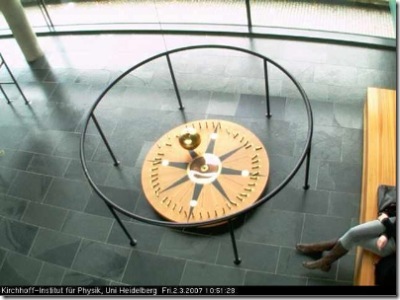 one of the ten worlds best webcams. Oh well it’s no big deal really :-). 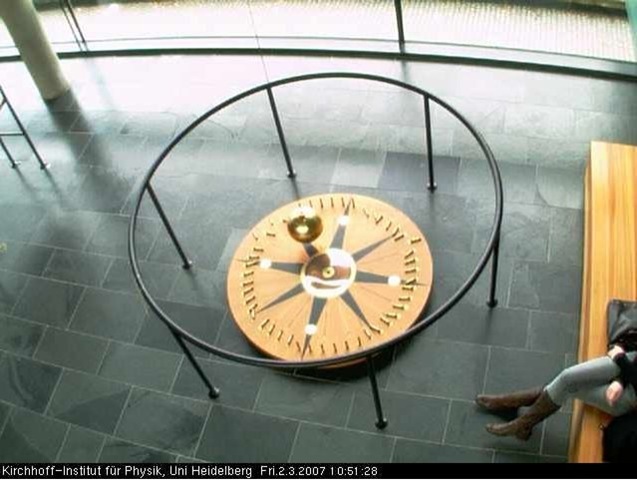 The theory behind it was discoverd in 1851 and it proofs that the earth rotates under the pendulum. Uh, of course you can grab some more sophisticated theory insights here. So what’s up with that thing? It was voted to one of the ten best webcams on earth. Go and have a look.